Hentschel Precision Machining is a machine shop that provides precision CNC machining services to the manufacturing and tooling industry. The founder of the company, Paul Hentschel, has worked in the trade for over thirty years. Our company has established a reputation for quality, on time delivery at a competitive price. Our company has experience cutting a wide range of materials including Stainless Steel (300 & 400 series), Nitronic 50, and Titanium, as well as a wide range of tool steels. We have experience manufacturing parts from these materials for the oil and medical fields. In house 2D and 3D design and programming capabilities. We have the ability to work from 2D blueprints or direct from your 2D or 3D CAD. The owner is a journeyman mold maker with over 10 years experience building, designing & programming plastic injection molds. 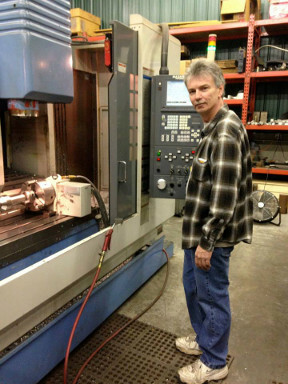 We are an excellent source for mold shops who need to farm out any cavity and core work. We can contract to manufacture parts complete from raw material or perform secondary operations on your partially machined pieces. We have reliable local sources for operations we do not perform ourselves, such as heat treat, ID/OD grinding, jig grinding and EDM.